Betfair is the biggest betting exchange in the world and the current Betfair free bet offer is generous. Customers who open an account are entitled to a free bet which is up to £100 in value if all the qualifying conditions are met. The operator also has a sportsbook and qualifying bets must be placed there. What are the current Betfair free bet offers in April 2019? How can I get the Betfair free bet? What are the Betfair free bet terms? Where is my Betfair free bet? Betfair gives new customers up to £100 in the form of five free bets each up to £20. New account holders must place five bets for a stake of £10 or more to receive £20 in the form of free bets. This process can be repeated up to five times to provide a maximum of £100 in free bets. The qualifying bets must be placed at odds of 1/2 (1.5) or bigger. Bets placed on the same selection do not count. Any bets placed in the betting exchange do not count as qualifying bets for the current free bet. Free bets are available within 24 hours of the qualifying bets being placed. The Betfair welcome offer for new customers does change from time to time. Existing customers can take advantage of several ongoing promotions which compliment the Betfair free bet. In all cases, the rules comply with guidelines for fairness and transparency. The Betfair free bets offer satisfies the needs of the Gambling Commission. Place the qualifying bets in line with the Betfair terms and conditions. The stake can be for more than £10 but it will still only count as one qualifying bet. New customers have 30 days to place the qualifying bets. Any matching exchange bets do not count as qualifying bets for the Betfair free bet. Cashed out and void bets do not qualify. In line with the Betfair free bet rules, free bets are only valid for 30 days. Betfair standard T&Cs apply as listed below. The process to open a Betfair account can be completed in just a few minutes. Potential new customers click the Join Now button on the Home Page. At this stage, the registration screen appears and new customers must specify a unique combination of a Username and Password which is to gain access to the site. Once the new account has been confirmed users must deposit at least £10. When the betting funds are in the account customers can begin the Betfair free bet qualifying procedure. Bet selections appear on a BET SLIP and once the bet is accepted, a customer’s account balance is updated accordingly. The Betfair free bet is immediately available for new customers who must place qualifying bets. Any bets placed in the betting exchange or in the same market do not count. Customers must be over the age of 18 to place bets and take part in the Betfair free bet bonus and other promotions. Betfair can end a promotion at their discretion. Customers can only use the promotion once. Qualifying conditions must be met correctly before any free bets are credited. In some cases, bets placed in the betting exchange do not count. In addition to the Betfair standard terms, specific T&Cs apply for the Betfair free bet. The specific and standard terms are transparent even though the Betfair free bet process must be complete five times to earn the maximum bonus. Both sets of rules are fair and easy to understand and the Betfair free bet is achievable. 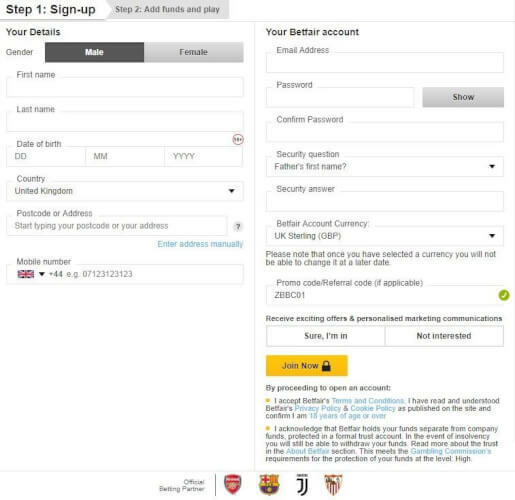 When customers open a new account and enter the correct Betfair promo code the Betfair bonus is activated. Customers do not need to opt-in and the free bets will be credited once the qualifying bets have been placed. The Betfair free bet is valid for new customers in the UK. 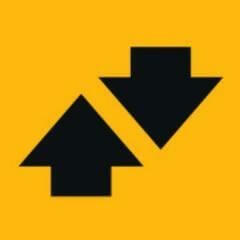 If customers are unsure about the free bet process they can contact the Betfair customer services on Twitter. The Betfair offer should work seamlessly with free bets being credited to a new account once the qualifying bets have been placed. 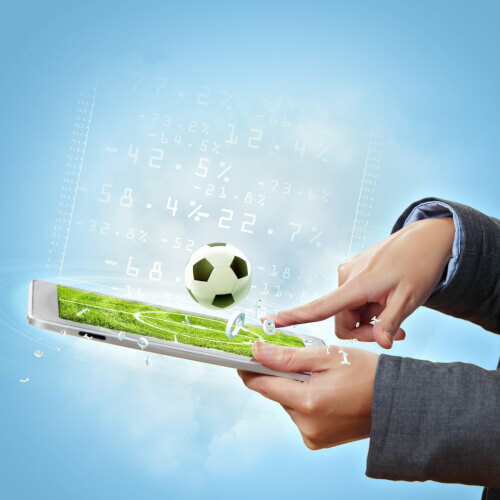 How can I calculate the returns of my Betfair free bet? Betfair free bet returns are based on the odds and stake but any returns do not include the free bet stake. Any sport in the betting exchange and sportsbook. How long do I have to use my Betfair free bet? If the free bet is part of a promotion a promo code must be entered.